Claverley Medical Practice is situated in rural Shropshire. Our practice area extends between the boundaries of Bridgnorth, Perton and Wombourne and includes the parishes of Claverley, Worfield, Pattingham, Bobbington, Seisdon and Trysull. Claverley surgery was built in 1986 and is modern and well equipped with facilities for car parking, the disabled and elderly, access for wheelchairs and toilet facilities. For the convenience of our patients we are able to dispense medication for those living more than one mile from a chemist. 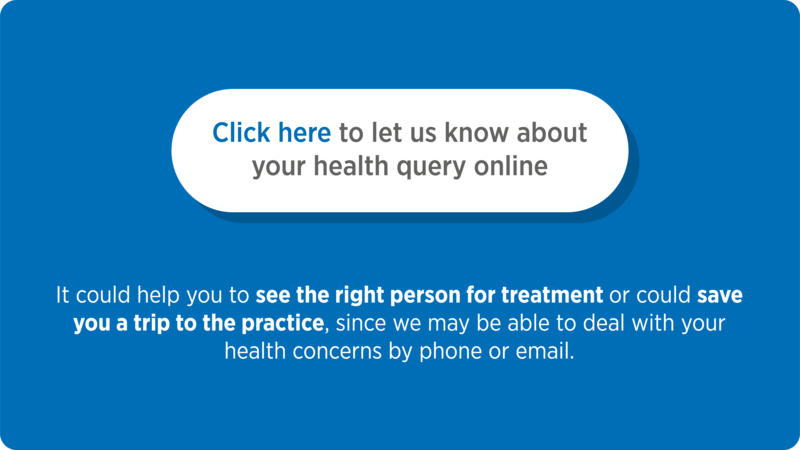 Claverley Medical Practice aims to provide registered patients with high quality, safe personal health care within the framework of the NHS. We will perform this within a relationship of mutual respect and confidentiality. Our primary concern is care of the patients and we believe strongly in "The duties of a doctor registered with the General Medical Council". We also seek to improve the health status of the practice population overall. We aim to achieve this by developing and maintaining a happy, sound practice which is responsive to people's needs and which reflects wherever possible the latest advances in primary health care.